The vibrant colours of these pocket pads have striking visual appeal. 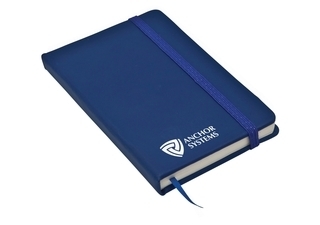 Featuring an elastic closure and ribbon marker, they are the ideal size for those on the go and perfectly suited to feature your logo. Available in Navy, red, black or green. Product size is 142mm x 90mm wide with 160 pages.